Who loves a haul? I know I do! 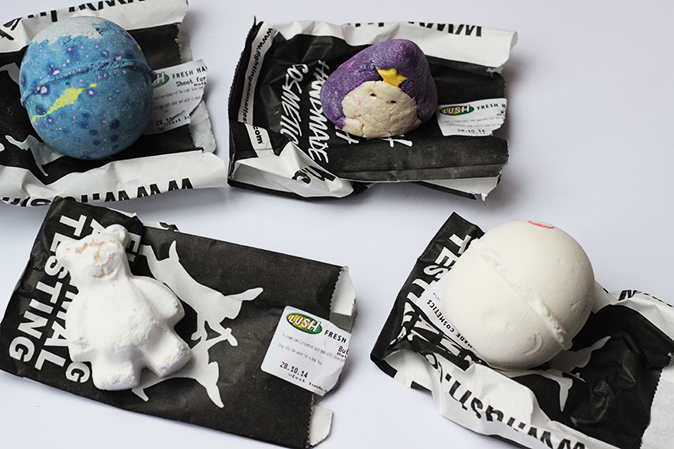 Now that the Halloween and Christmas ranges are in store I couldn't help but treat myself to a few bath bombs. I had only intended to get a couple, but restraint isn't my strong point! Lush Butterbear Bath Bomb (£1.95). I couldn't resist this little guy, look how cute he is! Butterbear is super creamy and luxurious thanks to cocoa butter; perfect for dry skin like mine. 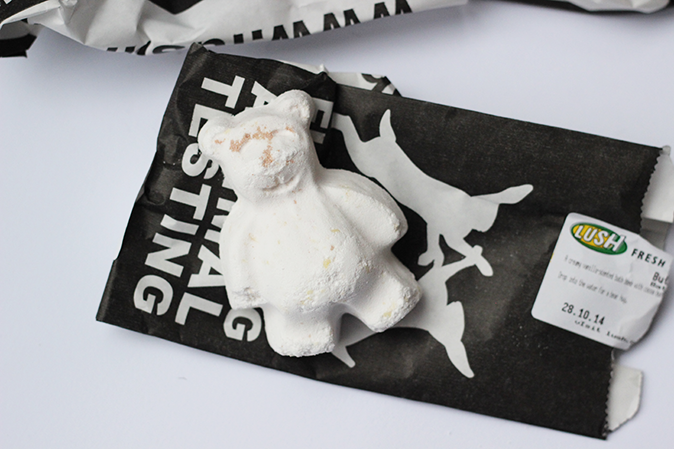 He also smells of vanilla and will be perfect for softening and nourishing my skin during a pamper evening. Sunday - I am looking at you! Lush Dragon's Egg Bath Bomb (£3.35). 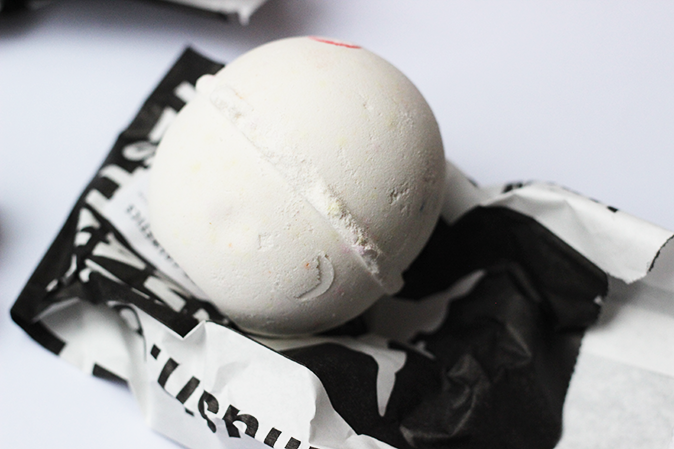 A firm favourite of mine and one that I always pick up during a trip to Lush, Dragon's Egg is a fun bath bomb that fizzies around to reveal different colours under it's shell, a bit like a giant gobstopper. It has quite a citrusy scent to it, so it's quite uplifting. It also lasts for a couple of baths if you can bear to scoop it out! 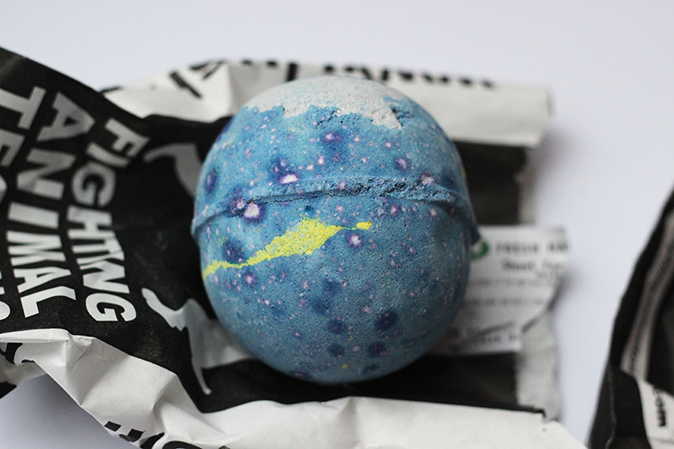 Lush Shoot For The Stars Bath Bomb (£3.50). I'm really exciting to try this one, I love anything to do with stars, so I made a beeline straight for this one. Apparently it turns your bath water the colour of a pretty night sky before revealing some glitter at the end. Sounds very dreamy indeed. 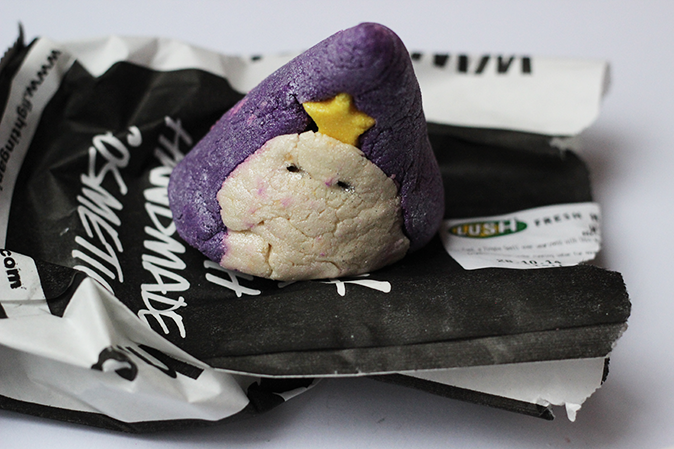 Lush Wizard Bubble Bar (£3.25). I had to get this cute little wizard before he disappears after Halloween. Wizard is a bubble bar, which I've never tried before so I'm keen to see what it's like. I think I'll be able to get couple of bubble baths out of this one which is always a bonus. It's one for relaxing and de-stressing which is always a good thing in my books! The post Haulin: Lush appeared first on Lelore.